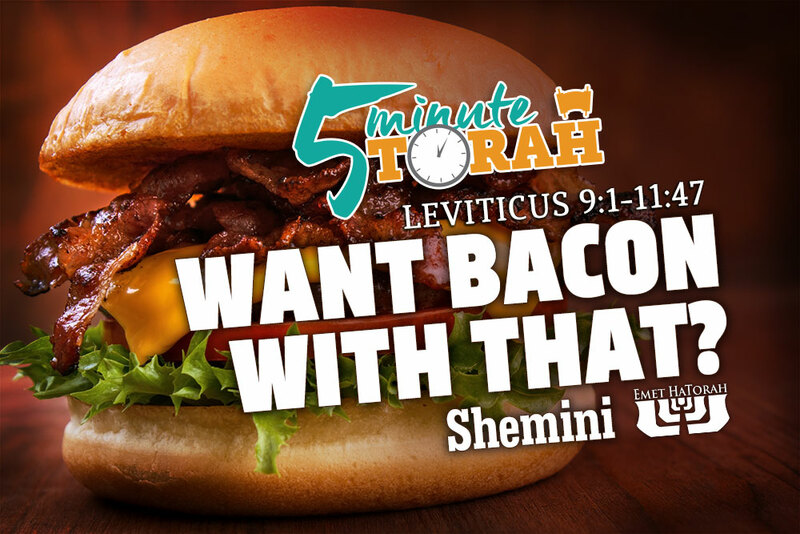 The Torah begins its food laws with land animals. It tells us that in order for a land animal to be fit for consumption it needs to have two qualifications: It needs to have a completely split hoof, and it needs to “chew the cud” (Leviticus 11:3). Animals that have one trait, but not the other, are forbidden for consumption. 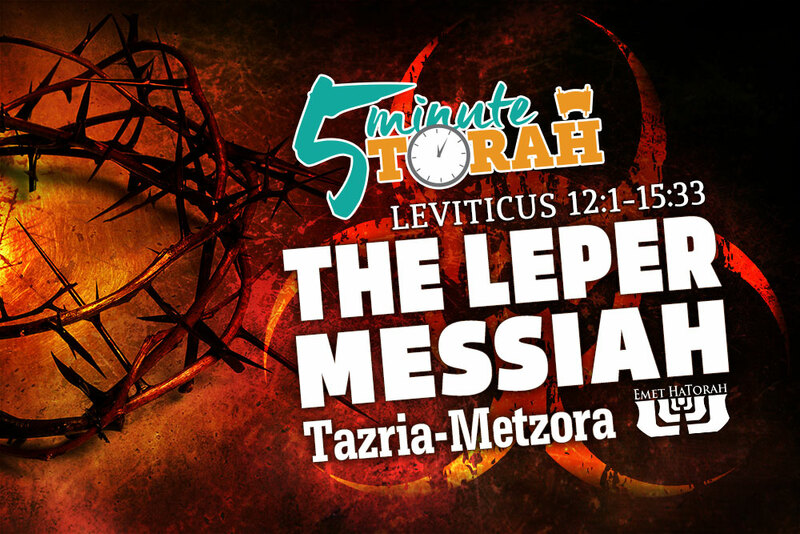 The Torah gives the example of the hare who chews the cud but does not have split hoofs, and the pig who has split hoofs, but does not chew the cud. Animals such as these are off limits. Water-dwelling creatures, however, have other criteria. They have to have both fins and scales. So, for example, catfish would be off limits. Although they have fins, they do not have scales. Other water-dwelling animals that would be off limits would be things like shrimp, lobster, crab, sharks, eels, shellfish, etc. Winged creatures, however, have no classification, per se. 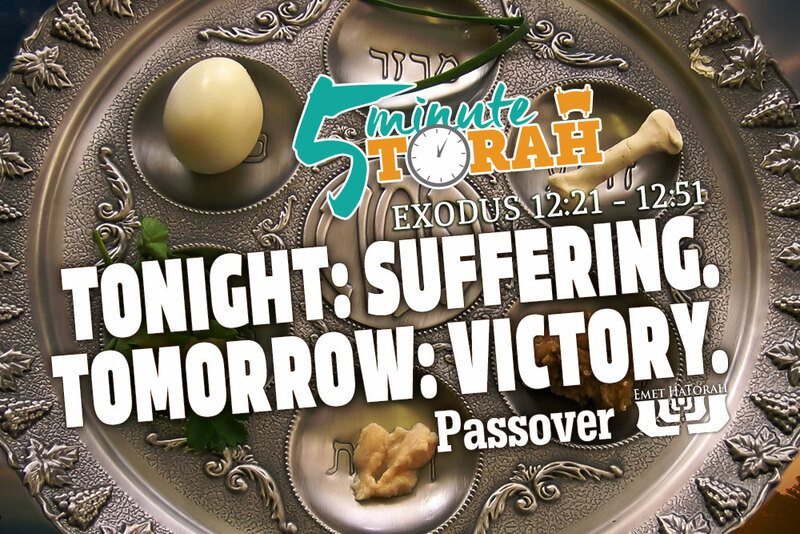 The Torah simply gives a list of winged creatures that may not be eaten. And to complicate matters, many of the creatures listed in the original Hebrew cannot be identified with absolute certainty. Therefore, oral tradition plays a large part in determining what kinds of foul are considered permissible and which are not. Counting the days between Passover and Pentecost is a biblical mandate! 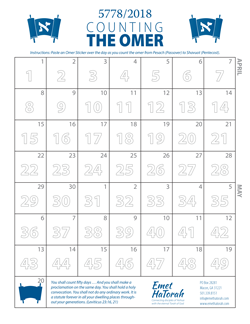 Here is a free activity download for 5778/2018 to help your family both remember to count the omer between Passover/Pesach and Pentecost/Shavuot, as well as make it fun (see link below). 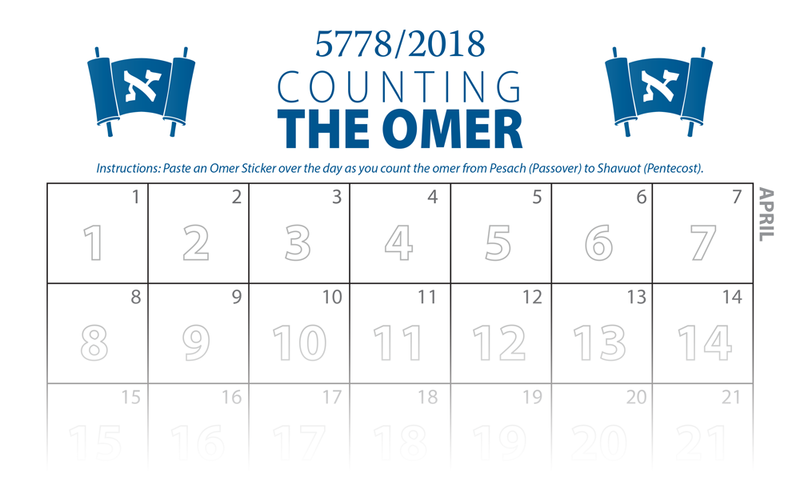 We have created a calendar sheet and cut-n-paste “stickers” (bring your own glue stick -or- print onto some crack-n-peel) to count the omer all the way to Shavuot. 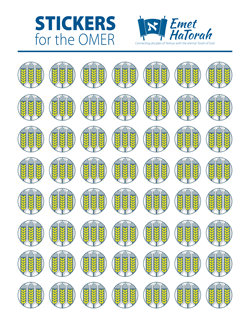 Why do we count the omer? Read up on it here. Feel free to download these, print them out and use them for your family or congregation. Be sure to share this page on your Facebook timeline as well as Tweet it to your friends so they will be able to enjoy it as well. Enjoy! Chag Sameach!